Want to keep Kosher for Passover? Don't Go Hungry this Passover..... We will provide you with fresh Lunch & Dinner every day of Passover! 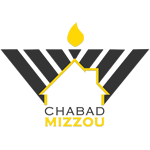 Sign up for Kosher for Passover Dining at Mizzou. Meals are served at the Chabad House 313 E. Brandon Rd or you can take your meals to go. If you have any questions or dietary restrictions/allergies, please contact Channy at 718-840-9019 or email Channy@jewishtigers.com.